North Carolina is a state in the southeastern region of the United States. It borders South Carolina and Georgia to the south, Tennessee to the west, Virginia to the north, and the Atlantic Ocean to the east. 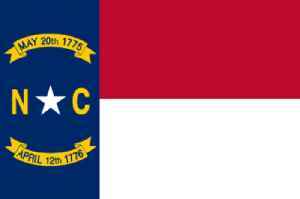 North Carolina is the 28th-most extensive and the 9th-most populous of the U.S. states. The state is divided into 100 counties. The capital is Raleigh, which along with Durham and Chapel Hill is home to the largest research park in the United States. The most populous municipality is Charlotte, which is the second-largest banking center in the United States after New York City.